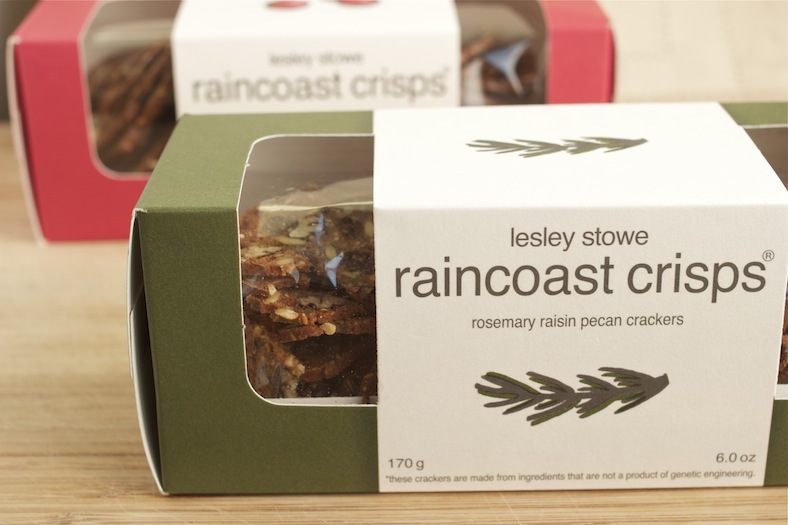 Thank you to Lesley Stowe Fine Foods for sponsoring this post. My mom put that first meal in front of me, not an hour after we first brought our daughter home. She knew what to do in that blissed-out moment, when I was so distracted by my girl’s crumpled baby skin and endless, shifting micro-expressions that I couldn’t answer a simple question—what did I want to eat? I told her I didn’t really know. Soon I was sitting at the table looking at a plate of simple foods and a halved, salted avocado. “This looks—perfect,” I said, astonished not only that I was hungry, but that I was still myself, even after the fear and rush of bringing a person into the world. Here was proof: I still craved finger foods. “It’s a Jenni meal,” Mom said, and popped back into the kitchen. It was, too. 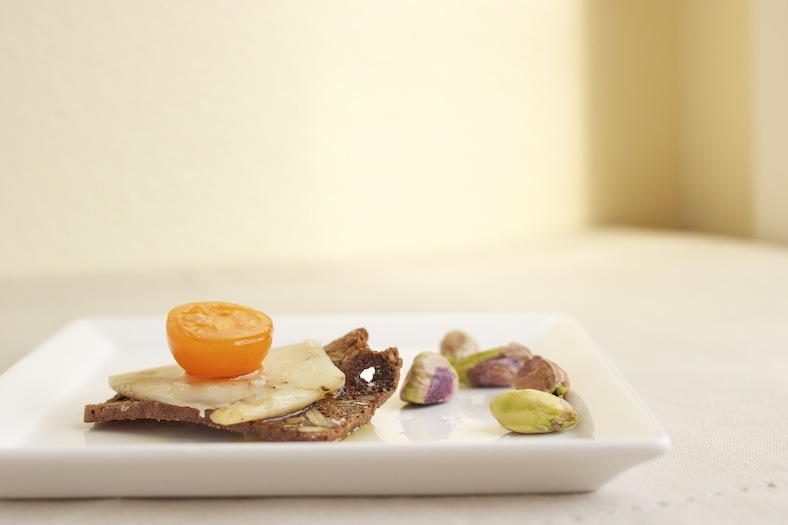 Composed of foods that were not so much prepared as arranged: fruit slices, whole nuts and seeds, crackers, sliced cheese. It was an awkward meal, trying to balance the baby’s head in the crook of my left elbow while working a bite of avocado onto the spoon one-handed. But I didn’t want to let go of her. And, besides, it was awkward fun, awkward how lucky are we? Our daughter turned eleven this week, reason enough to remember that first meal and what it was like to adjust to our new roles; mine as a parent, hers as creature who had just learned how to breathe. And it’s reason enough to count not only what we’ve been through, but what is steadfast. For all the fusion and change and second-guessing and knock-knock jokes and joy and hysteria that have shaped our lives since those first parenting moments, I’m still myself. I still love a good novel, a night at a quiet restaurant, and good milk chocolate. And I’m still one to put together a plate of fruit and cheese and crackers. I usually make my own lunches, of course. Only now, unlike the early years of parenting, I have more time. 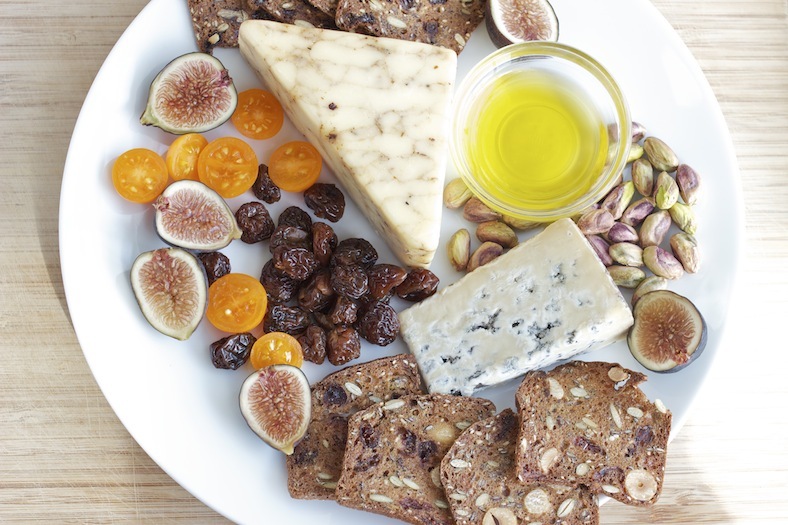 I can soak dried cherries in a little rum, stud the plate with halved cherry tomatoes and figs, pick out the right kind of cracker. This week the stars aligned: the harvest is on, I just opened a bottle of California olive oil (a gift from my mom—she’s still feeding me), and I received a box of these crackers in the mail. What better circumstances for creating a simple plate of food? 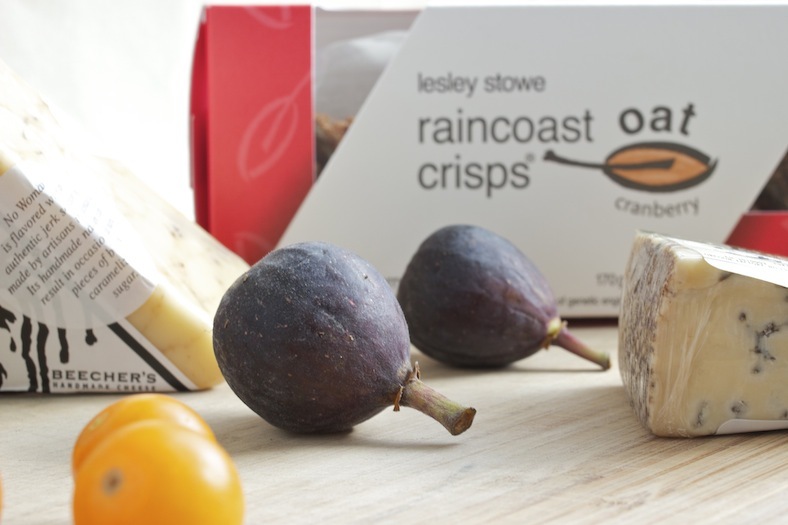 Pictured: Rosemary Raisin Pecan Raincoast Crisps, Napa Valley olive oil, shelled pistachios, Rogue Creamery’s Caveman Blue, Cranberry and Hazelnut Raincoast Crisps, fresh figs, Sungold tomatoes, Beecher’s No Woman cheese, rum-soaked dried cherries. 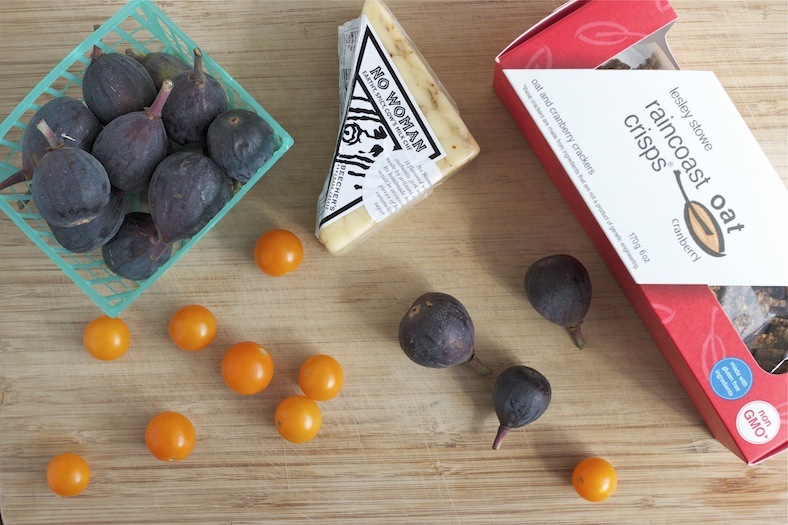 This entry was posted in Reflection, Sponsored Post, Summer Fruits, Writing and tagged Cheese, Cherry, Fig, Local, Organic, Tomato. Bookmark the permalink. 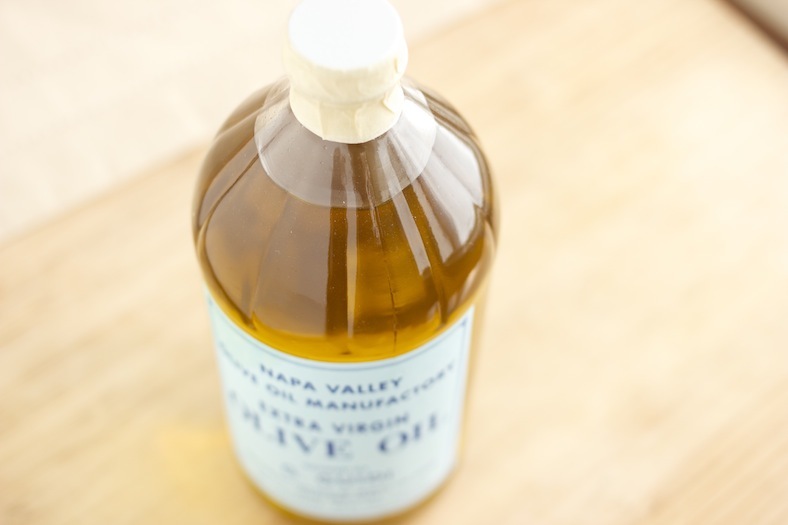 ← My Edible Seattle stories + it’s time for IFBC again ! 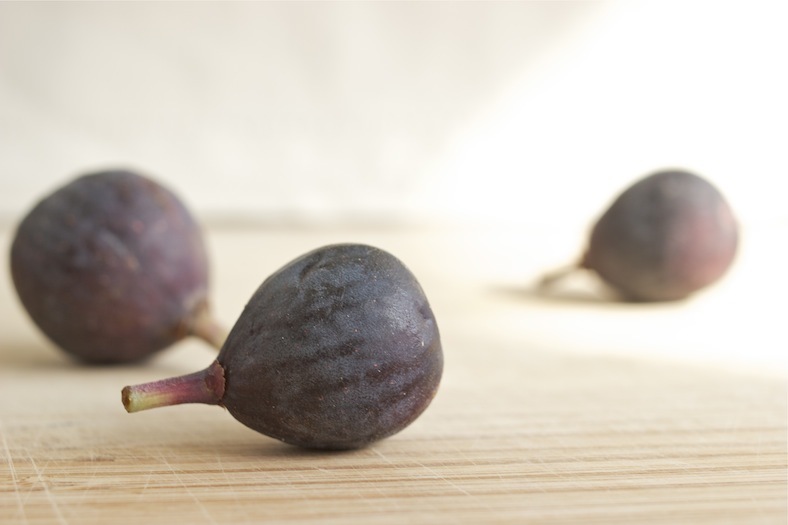 Gorgeous figs! Happy Birthing Day to you, Jenni! What a beautiful story!! I remember those same moments when our son was a newborn, trying to eat, being hungry but not wanting to put the baby down. Thanks for sharing that memory so I could relive mine! And it was great meeting you at the IFBC conference. Stay in touch! My Dear Jenni, you’ve made me salivate numerous times. This is the first time you’ve made me teary. thanks! Lovely meal – In our home that would be a fruit plate for two and two fur babies!